When Ella arrive the other day, she seemed short, cranky and overwhelmed. We let her have her space and a good long nap. 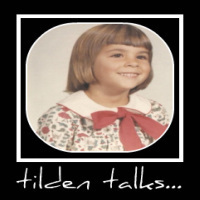 When she woke, she toddled around the house looking for Colleen. 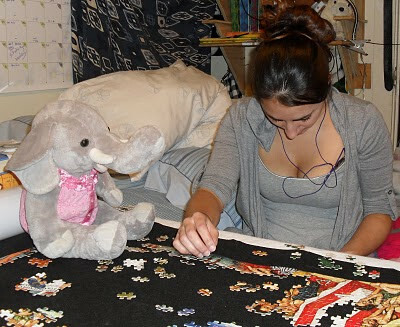 When Ella found her, Colleen was working a puzzle. Ella climbed right up onto the table and apologized to Colleen for stealing her bed and begged to help with the puzzle. Colleen graciously accepted her apology and and told Ella she was sorry too. 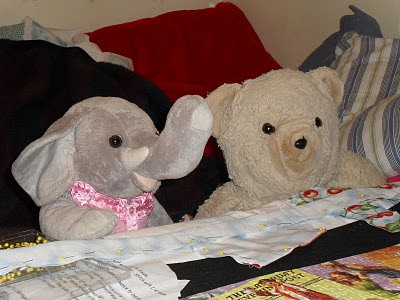 Colleen said she didn't realize Ella had traveled so far, in a very short amount of time, and asked Ella to forgive her for not wanting to share. Ella did. While Ella and Colleen worked the puzzle, Manda was doing some crafting with her friend Windsor. He called to Ella and asked her to join him and be friends. Ella was very pleased to be invited and rushed over to meet her new friend. Windsor and Ella had a tough time getting the apron pattern pieces pinned and cut out, but with Manda's help, they were successful. Right after finishing up with the apron pieces, Benjamin Beardock showed up and insisted everyone go scuba diving in the pool. Windsor said he would rather remain indoors and Ella said she had just one word for Ben, plastics. Trut Ella to pick up a couple of beaus right off the bat -- bat of her big old eyelashes! Oi! What is my bear doing?! He knows he isnt allowed to touch pointy thing unsupervised.